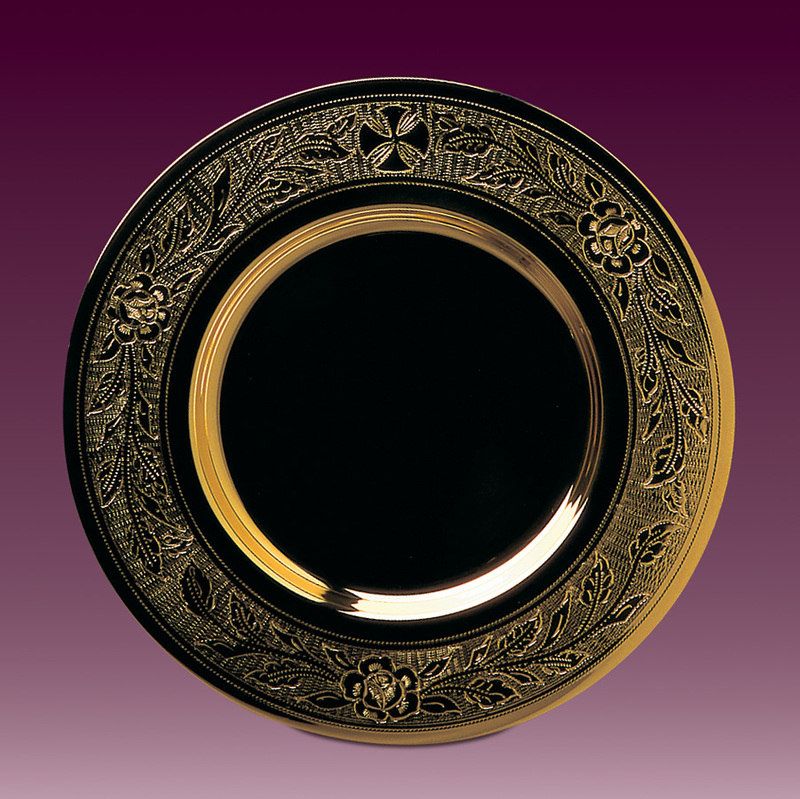 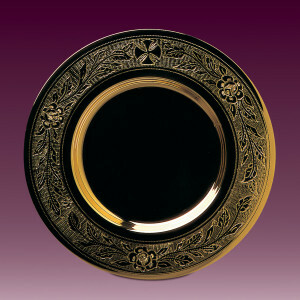 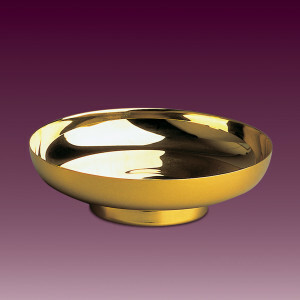 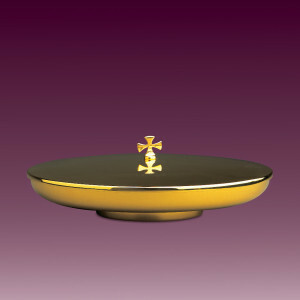 Paten is one of liturgical vessels which is used in conjunction with a chalice. A priest uses it during the performance of the sacrament of Eucharist. 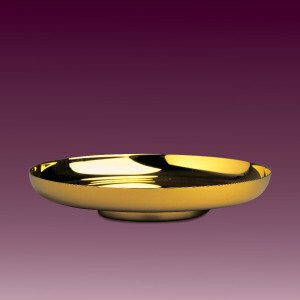 Vessel of this type resembles a small saucer used to store the Host. In the offer of Sacrum bronze workshop, you will find the above-mentioned and described types of patens. 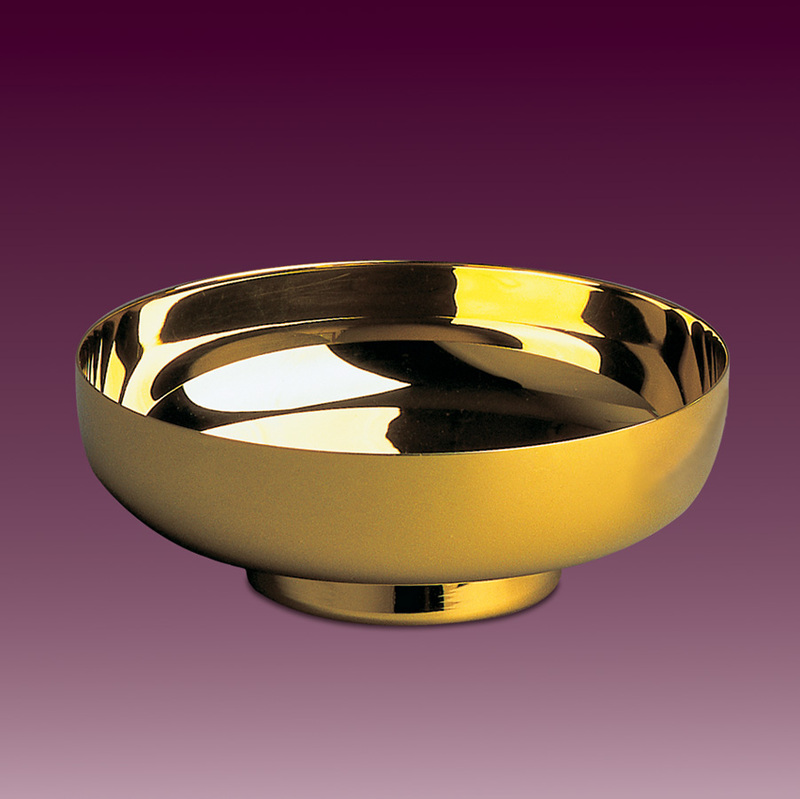 The liturgical vessels offered by us stand out mainly with high quality of build and used materials. 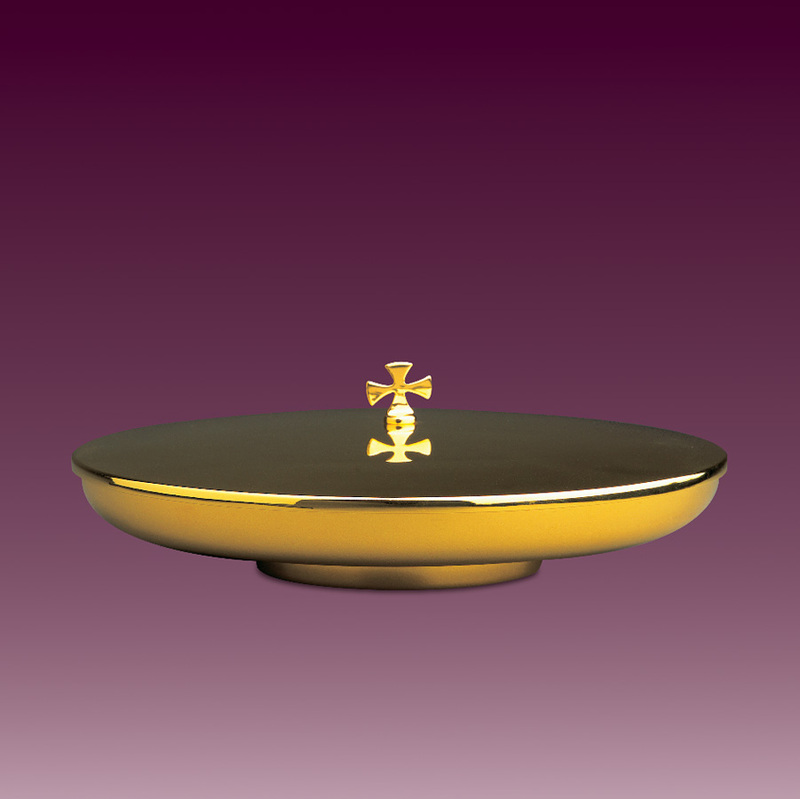 We make every effort to ensure that the products offered by us are crafted with great care, since we are aware of the importance of events for the purposes of which they are used. Our workshop also refurbishes liturgical vessels, including patens. 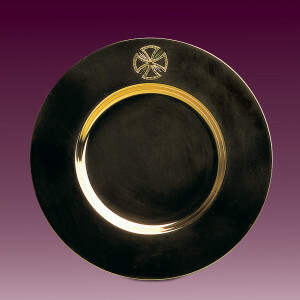 More patens see in page pateny mszalne.